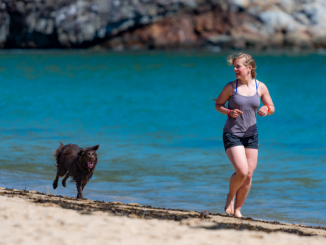 If you have a long-coated dog, chances are you’ve come across a fair few mats in your time. As we take our beloved pooches outside to explore the world, their coats pick up all sorts of dirt and debris. But if this muck is left to fester, that dreaded matted dog hair can form like wildfire. Dogs with long coats can be extremely high maintenance. Especially those with fine, fly-away hair! I’m looking at my pup Loki when I say this. 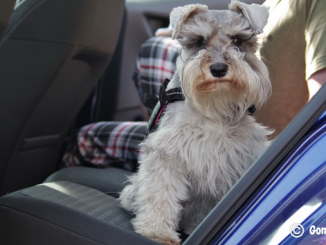 She’s a schnauzer with a fine, soft coat, rather than a slightly more manageable wiry coat. So it mats in an instant if we’re not careful. 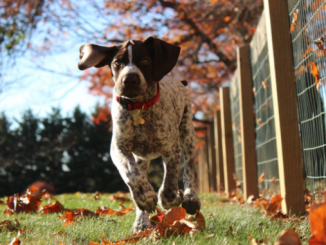 To keep your dog’s coat glossy and smooth, you need to be prepared for a strict regime. Prevention is far easier and less stressful for your dog than waiting and trying to detangle a heavily matted pup. If you brush your dog every night when they’re calm and relaxed, you’ll avoid severe matting. 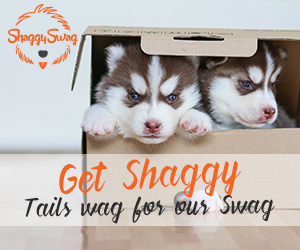 It’ll also be a more enjoyable experience for your dog, and you’ll get them used to being touched and groomed. 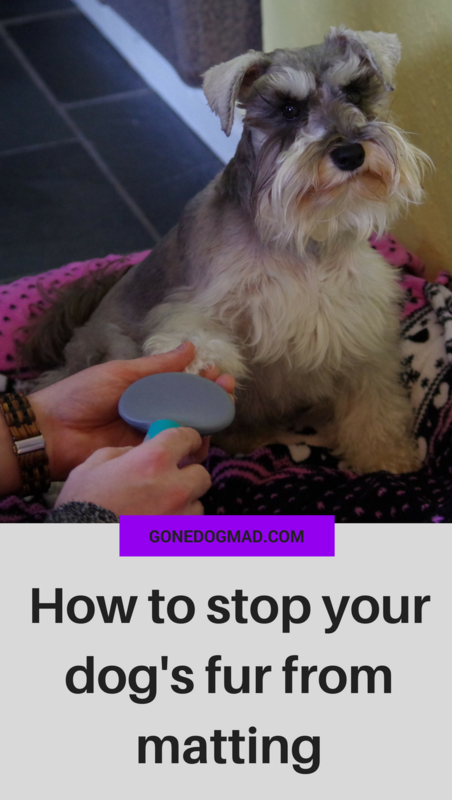 But if your dog is a tangle of chaos, I have a few tricks up my sleeve to help you get them back to their sleek and shiny self. I like to brush Loki in the evening when she’s settled down for the night after her daily walks. She’s easier to manage and doesn’t try to nibble the brush as much! 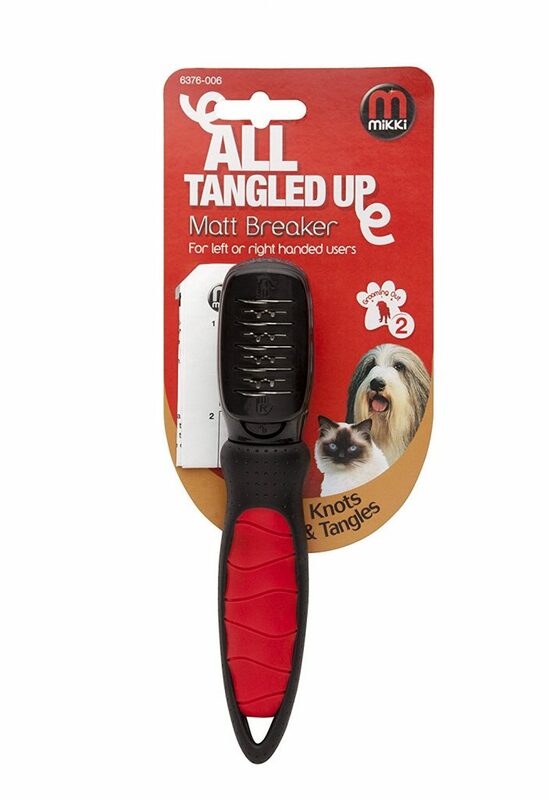 But if your dog is also a bit wriggly when it comes to brushing, they’ll need some support to minimise fidgeting. You can use a simple lead to clip onto their collar for support. Then find something to hook it onto, or have a friend or family member hold onto it. 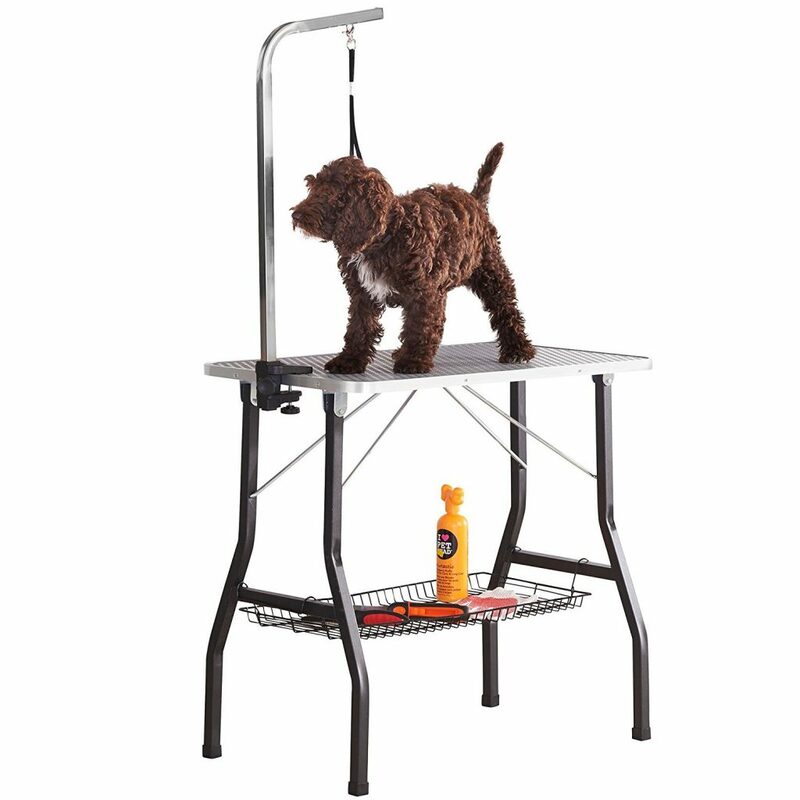 Or if you’re serious about grooming and even cut their fur at home, think about buying a grooming table. We groom Loki at home every few weeks so we’re keen to buy a table we can bring out and fold away when needed. She does tend to move around, so the extra stability is just what we need. I’ve got my eye on this grooming table if you’re considering one yourself. 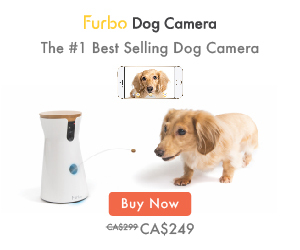 I only suggest using a muzzle if your dog has previously bitten in stressful situations. If you think your dog will not tolerate brushing and snap, a muzzle is crucial for ensuring your safety. Do not force your dog to endure brushing if they’re extremely stressed and lashing out even with the muzzle on. They will form a lasting negative connection with both grooming and the muzzle. Go slowly, take regular breaks and praise for calm behaviour. 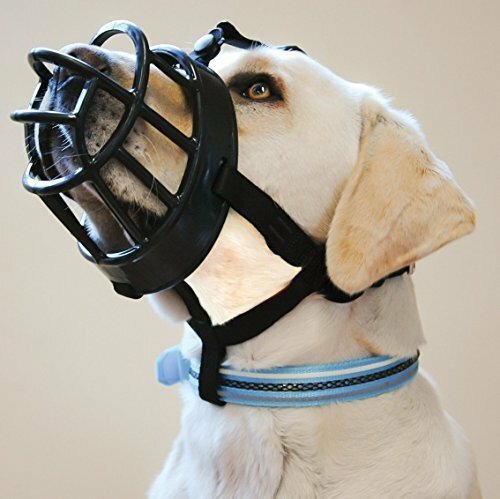 When considering a muzzle, take care to ensure you purchase the appropriate size. Your dog should have anough room to pant and drink without being too loose. I have heard great things about the Baskerville Ultra and you can find those here if you’d like to check them out. When I first heard about this spray I was not at all convinced it would work. But now I’ve used it on Loki and seen the results I wouldn’t be without it. Detangle sprays have an oily base which helps you ease apart stubborn mats. When you start tackling knots, use this first. Spray onto the matted area and leave for a minute. Use your fingers to gently tease at the knots. It smells great and makes the coat super soft and shiny. But be careful not to accidentally spray on laminate floors as it can make them very slippery! Here’s a detangle spray I highly recommend. You’ll find some will come free easily, but others may need another tool to coax matts apart. A mat breaker is a bladed comb that essentially slices through mats to break them up into pieces. It sounds and looks brutal, but they’re essential and effective for breaking down heavy mats. You must be careful when using this tool. 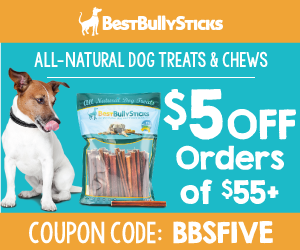 The brush has sharp hooks that could nick your dog’s skin or pull uncomfortably at their fur. 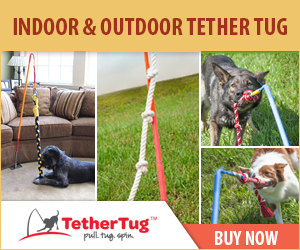 Take it slowly and hold the fur at the root so you’re not tugging at your dog’s skin as you pull through the mat. Loki tends to mat easily around her chest if we can’t brush her for a couple of days. We use this mat breaker to keep her coat in top condition if you’d like to check it out. I only discovered the slicker brush a few months ago, but I honestly don’t know how I ever lived without it. I use the slicker brush every evening to maintain her coat and remove forming tangles. There are just some things a regular pinball brush can’t do. I used to spend ages brushing Loki and she’d end up pretty much the same as when I started. Because the slicker brush has sturdy, close-knitted bristles, it works through mats instead of gliding over them. She also ends up with a fluffier, just left the grooming salon appearance. As the ends can be quite spiky, I wouldn’t suggest brushing over the skin. Like with the mat breaker, use your thumb and forefinger to hold onto the fur at the root and brush through to avoid pulling. 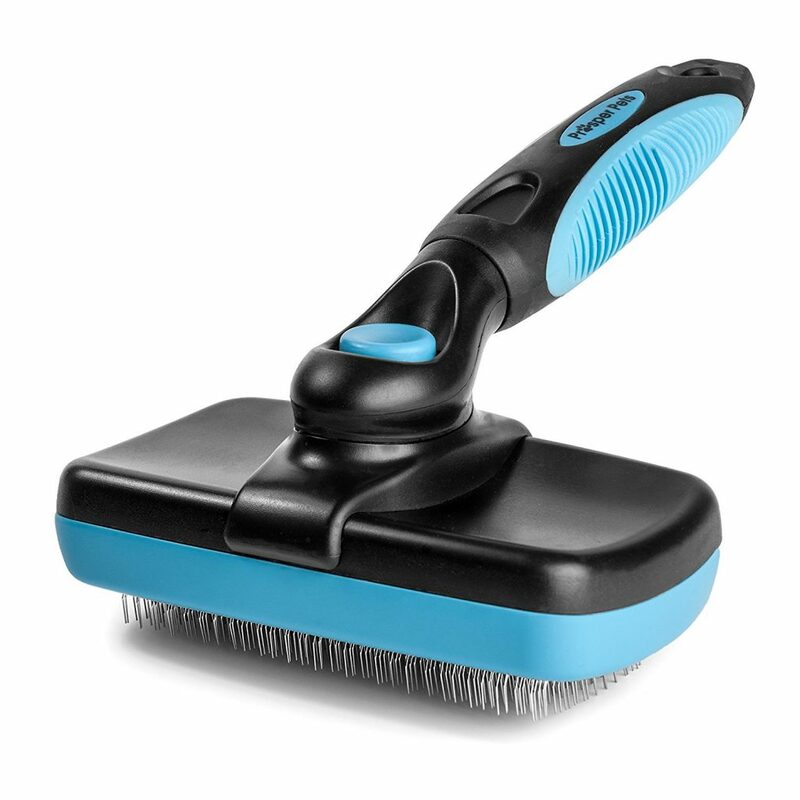 If you can only buy one tool for dematting your pooch, I’d highly recommend this slicker brush above all else. Only when all else fails should you resort to removing the mat altogether. I’d highly suggest you try using the techniques above first to keep the coat intact. Otherwise you may end up with some unsightly and uneven patches. As mats can form very close to the skin, be extremely careful if you do decide to cut them free. It can be difficult to distinguish between matted fur and skin – you don’t want to accidentally cut your dog. Start with a small part first by freeing one edge of the mat, then see if you can save the rest by detangling as mentioned above. 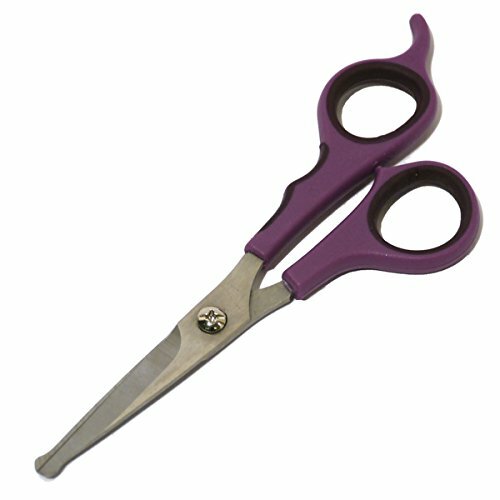 Always use small grooming scissors with a rounded end so you’re less likely to jab your dog while grooming. Go here to see my recommendation. And lastly, always ensure you make grooming time an enjoyable experience for your dog. Removing mats can be stressful for your pooch. Use positive reinforcement through praise and treats when they’re sitting nicely. I find it helps if you have another person on hand if your dog tends to feel anxious or is likely to fidget. Do your best to be gentle as you work through the mats and have your friend offer treats when they’re calm. 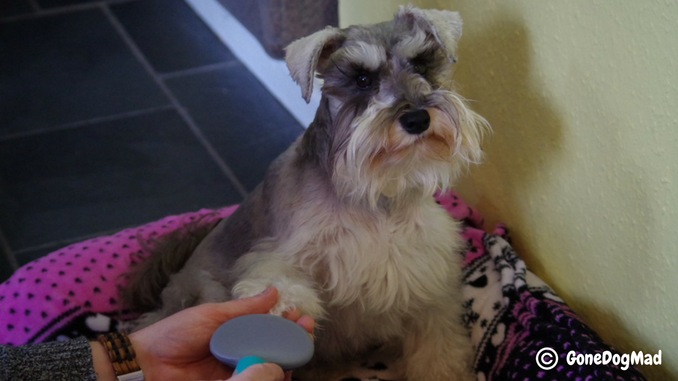 If they’re particularly fidgety, have your friend hold a longer lasting treat for your dog while you groom. 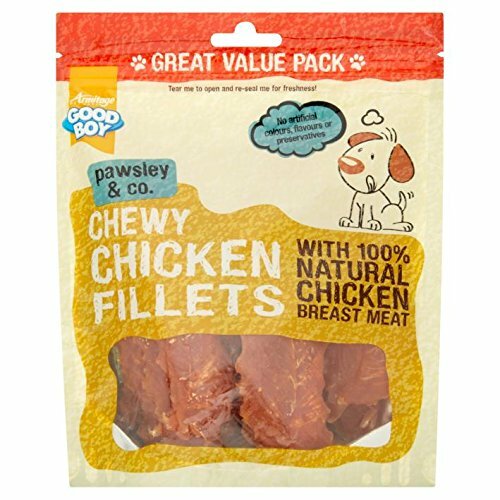 These dried chicken fillets are perfect to hold their focus and keep them relatively still. Prevention is better than a cure. So to prevent matted dog hair in the future, brush your pooch regularly using a slicker brush. You can also apply the detangle spray once a week to prevent mats from occurring. Particularly if they’re going on a long walk and likely to jump in water. Water tightens knots making them considerably harder to detangle! Does your dog mat often? How do you combat the tangles? Great Post! Detangling the hair below my golden retriever’s ears, was always the hardest part. I wish I would have tried the detangle spray that you mentioned in here. Loki is so cute by the way! Thanks Laura! She is a cutey isn’t she Pretty sure she knows it too – she’s a right little diva sometimes! Loved this post! That slicker brush has been such a great help in detangling my dog’s fur in the past. I’ve never used the spray though, so I may have to try it! Thanks for sharing all of this great information!